I saw these cookies on Pinterest and then decided to make them for a family Christmas party last weekend. 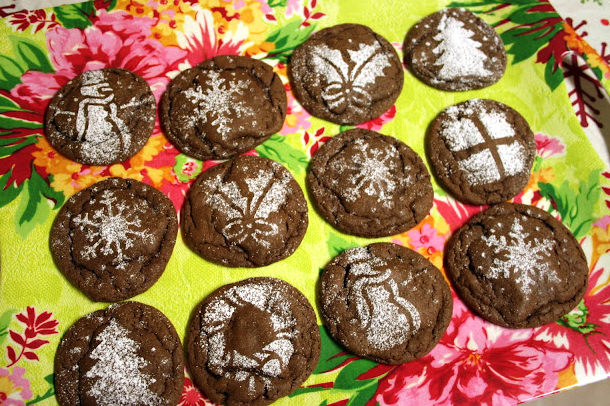 I bought some Martha Stewart Christmas cookie stencils last year and finally used them. I thought they added a fun touch to these cookies. Anyway, these cookies are awesome. 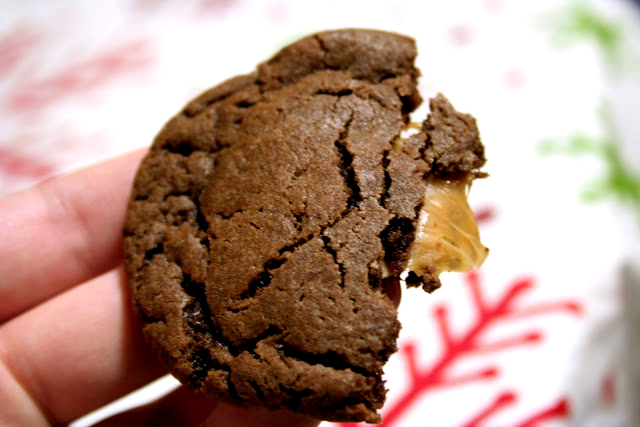 Not only are they cake cookies, but they have a whole Rolo stuffed inside and after they're baked, the caramel oozes out when you bite into them. So yummy. 2. Place on greased cookie sheet and bake at 350 degrees for 7-8 minutes. 3. 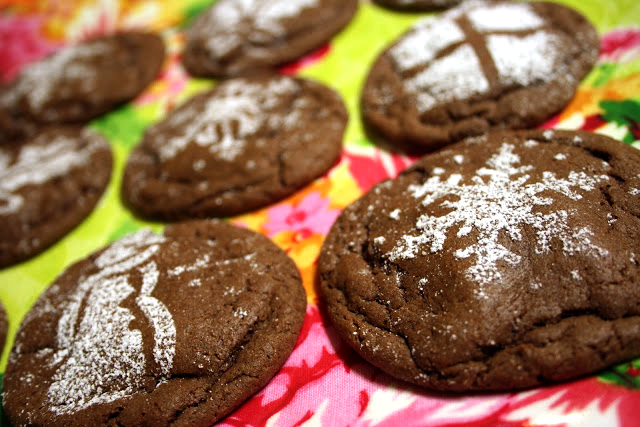 Sprinkle with powdered sugar, if desired. Your cookies are making me think the plain old chocolate chip cookies I'm making for the ward Christmas party tonight are lame. ha.